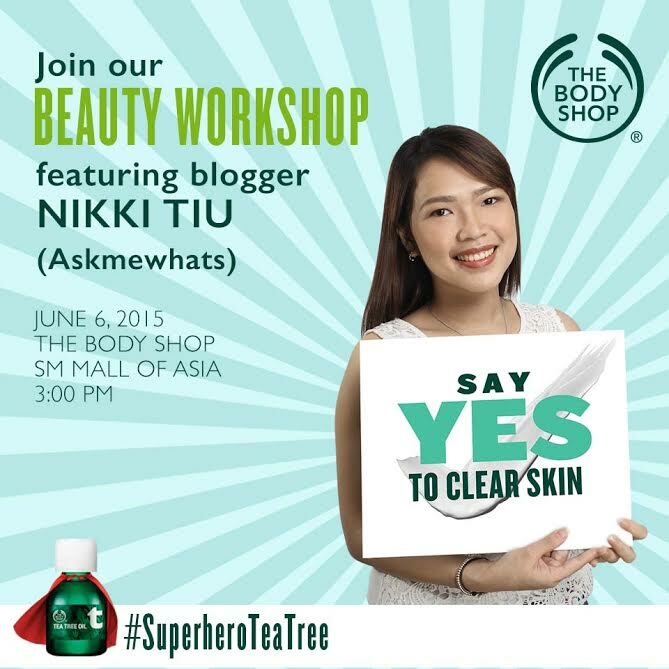 Say YES to AMW x The Body Shop #SuperHeroTeaTree Beauty Workshop! Dear AMW friends whom I've met and haven't met before! I am sharing my new collaboration with another beauty brand I trust --- The Body Shop! Please follow @TheBodyShopPH on Instagram and send them a private message and let's hope you get into their top 15 list! I can't wait to share my experiences using Tea Tree Products, TBS Skincare products and of course, make up with you guys! I will always be generous with my tips! oh dear oh dear.. bakit ngayon ko lang nakita ito!